Here at Basecamp we frequently get asked questions concerning our bushcraft course; what is involved, who can take part and what sets it apart from our other survival course? With this blog I hope to tackle some of these queries for anyone who has an interest in booking in for a day of bushcraft. During the early days of Basecamp it became clear to us all that it would be silly not to utilise the amazing forest woodland area we contain. Many of our customers tell us that they love coming to our adventure park, not only for the enjoyment got out of our activities, but also for the health and educational benefits of being surrounded by such rich nature. 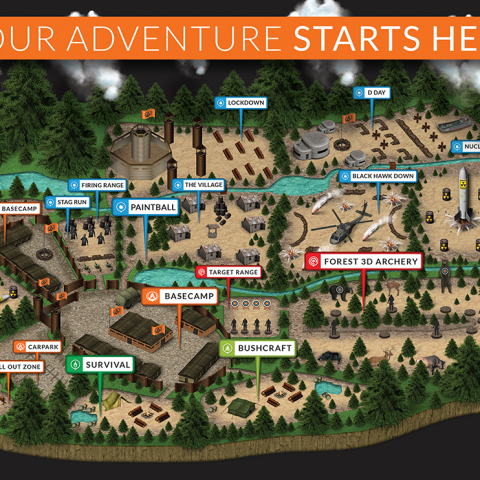 Bearing this in mind we decided to create a unique bushcraft course that is suitable for all ages from 8 years on; a course that is both extremely educational but thrilling as well. In recent years, pop culture has seen a vast renewal of interest in the teaching of such skills as can be seen in the documentary series created by Ray Mears and also by Bear Grylls. Although their documentaries lend a focus on surviving in exceptionally harsh conditions, the key skills that they adopt daily owe much to the teaching of bushcraft. The three vital bushcraft lessons that we teach are the backbone to any mission to survive in any drastic climate. However, we must mention that the work of Ray Mears and Bear Grylls owes much to the new phenomenon of ‘Doomsday prepping’ that has come to the fore in recent years. Fortunately thanks to current affairs and our technological advances, none of us here in Ireland have had to resort to drinking our own urine or eating rodents just yet! Although our bushcraft course seems a bit tame in comparison to these avid survival experts, with our bushcraft teaching we have adopted a more natural definition of bushcraft as being ‘a holistic movement influenced by environmentalism.’ This aspect of our bushcraft course provides the ideal setting for a wide variety of groups to practise team-building and to cement relationships. This activity has proven to be a great success with school groups that seek a fun day out with some great educational benefits also. Getting our kids back to nature should be on everyone’s agenda in a modern world where even young primary school kids are now glued to their hand-held devices or stuck in their rooms playing video games. 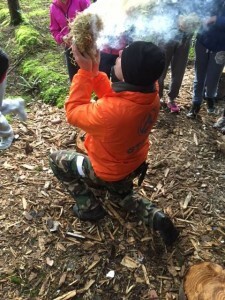 Bushcraft at Basecamp has also proven to be a hit with corporate groups that seek something different for their sports and social day out with their colleagues. This activity is something you will not get the chance to take part in every day with your workmates and therefore has a deep team-building element to it as well. We hope that each group will leave our adventure park with a greater knowledge of some significant outdoor skills but also with a greater knowledge of each other. We couldn’t suggest a better way to break free from a stuffy office or a manic workplace. 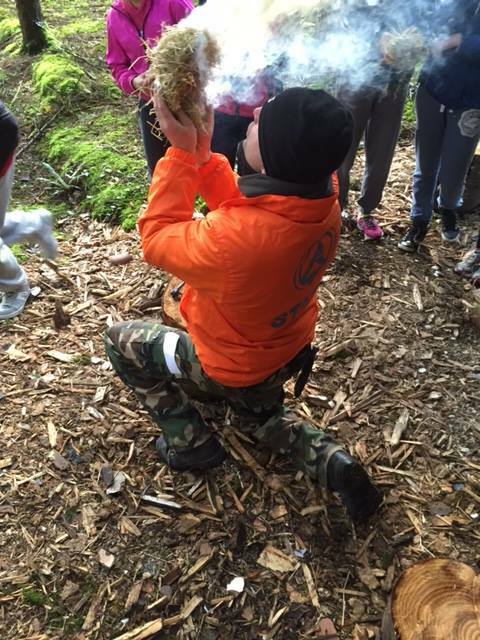 Our survival course is based on Special Forces training; it can be said that this four hour activity offers you all the teachings of bushcraft with a more Bear Grylls extreme edge. Participants will learn about surviving in harsh conditions and also about the psychology behind survival from our resident trained survival experts. This course is suitable for ages twelve and over. 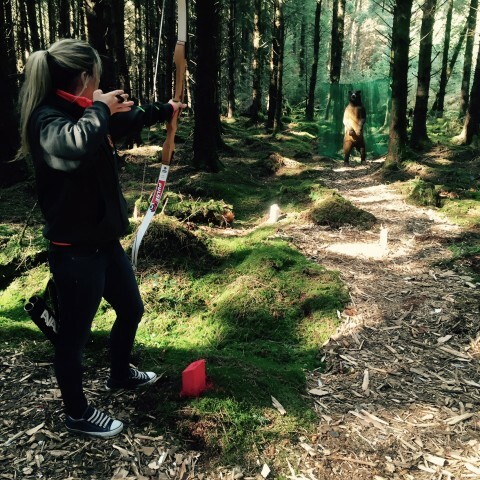 If you are unsure of which activity to chose on booking I would suggest to definitely start off with bushcraft; it is an amazing learning opportunity with fantastic recreational aspects!